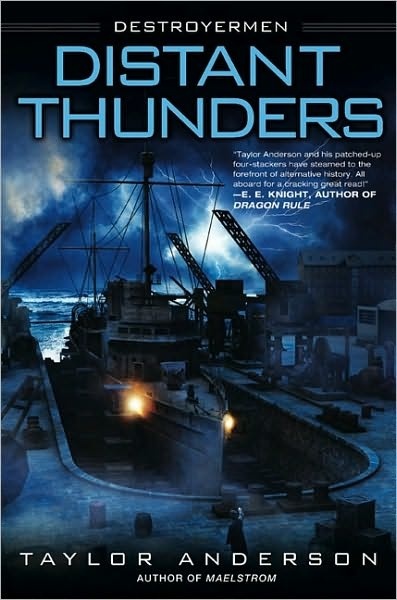 Taylor Anderson continues to deliver in the Destroymen series.The concept of the obsolete Pacific fleet destroyer that were basically target practice in WWII being such a huge force for good in this parallel world that it gets sucked into is quite interesting. With the world there much more hostile than the world we are from, with the Grik on one side, a world that seems intent on eating you (the pirannah-like fish and the larger mountain fish) and only one real ally, the Lemurians you would think that the prospects for the Americans to be pretty grim. But Captain Reddy and his crew continue to persevere. Even in the face of interaction with the New Britain Imperial Navy and the increasing threat of the Grik don't seem to keep them down. The action is pretty non-stop, with a lot of story lines going on at the same time. The main focus is on the developing relationship and exploration of the New Britain (and the associated "Company" (Far East India Trading Company basically) which is the power that is manipulating the throne) given that they have the Princess Rebecca in their protection. While CPT Reddy is away an agent of the Company kidnaps Rebecca, her protector Dennis Silva as well as Reddy's fiance are kidnapped. A lot of this book was build-up. Exploring the development of additional technologies and critical repairs that hopefully will pay off in the future novels. In addition to the Grik menace, the less than friendly Imperials there is also hints of another set of humans located in the America's that may present another threat in the future. Lots of space for these threads to continue to develop. 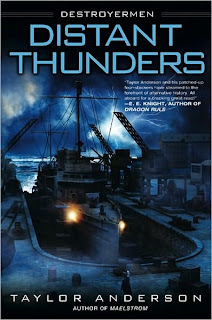 I already picked up the next book in the series because I am excited to see how it develops.